John has worked for many years as a teacher, a principal and an administrator in the Adventist Education system. John and his wife Sue have been long time supporters of Asian Aid. He has been a Board member since 2011 and Chairman since, 2012. David has held a variety of positions in IT in software development and management at Sanitarium, Hewlett-Packard, Avondale College of Higher Education and Andrews University. He is currently employed full-time as IT Internal Solutions Manager at Sanitarium. He is a passionate supporter of Asian Aid, through the child sponsorship programs and various special projects. Alan comes with over 40 years’ experience in leading, training & managing volunteers. For 21 years, Alan was Manager, Volunteer Services, Wesley Mission Sydney. In retirement, he now resides on the mid north coast. He continues his 50 year association with the SDA Church Pathfinder Movement, previously as a District Director, 35 years in the Sydney area and now for the North NSW Conference. For nine years Alan served on the ADRA Advisory, Greater Sydney area and brings that knowledge to regional NSW. Alan graduated in the first class for the Diploma of Volunteer Management Practices, conducted by the School of Volunteer Management. He has presented papers at State, National & International Volunteer Conferences. Alan has served in the past as a board member of the state volunteer peak body “The Centre for Volunteering” for 11 years. Kaye Zyderveld is the Chief Financial Officer (treasurer) of Seventh-day Adventist Schools and Conference in South Australia. She has a Bachelor of Commerce and has worked in the financial analysis and reporting field in the for-profit and non-profit sectors, including TAFESA, as a Senior Business Analyst. Prior appointments includes lay member of church and schools boards for SA Conference, Australian Union Conference and South Pacific Division. She supports the Asian Aid team through providing her forensic accounting expertise. Peter worked for two decades as a teacher, principal and educational administrator in the Adventist Education system, before moving to the International Development sector in various field and management roles. He served on various Australian Council for Overseas Aid and ACFID committees, while providing consultancy services to Australian NGOs and the government. This is his third year as a director of Asian Aid. Colin has worked as a consultant to financial institutions and government. His business expertise includes business development, sales and relationship management, strategy and product planning. He is strategic, analytic and results oriented. He has had extensive experience in the field of International development over the past two decades in both private and public sectors. He is currently Lead Financial Sector Specialist with the World Bank Group. 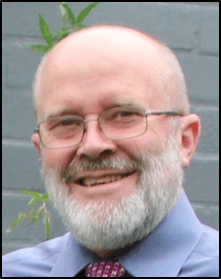 Norm has worked in the Australia Public Service and private industry prior to taking up a position at Avondale College where he lectured for approximately 20 years in Mathematics, Computing, Economics and Finance. Although retired but his background in commerce and academia provides useful input to the Board. David has been a lawyer for over 35 years both in private and public practice. Previous positions included a senior lawyer, corporate manager, investigator and policy advisor for a number of NSW Government agencies for over 30 years in the Attorney General’s Department, Health Care Complaints Commission and Department of Premier and Cabinet. He has also been a Justice of the Peace, Coroner, Court Registrar, chamber magistrate, university law lecturer and a legal member of the health registration board. He currently runs his own business as a legal consultant. Justin has previously worked as Technical Manager for Compassion Australia. He is currently both a Pastor and management consultant. His experience in the Not For Profit sector is a value addition to the Asian Aid Board. He provides insights around how technology can intersect with the humanity of development and highlights best practice in the NFP sector.